Everywhere I go, people are talking about books. It's no surprise, really. Summer is here, though the calendar says otherwise, and that means people are pouring through the pages as they lounge by a pool, recline on a patio or otherwise pass the time this steamy season has to offer. 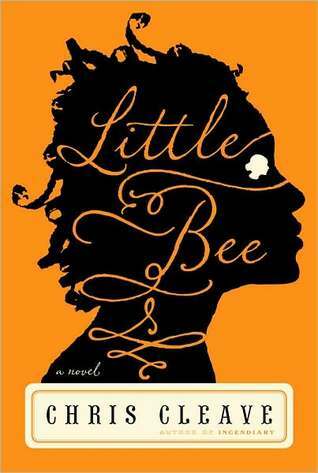 I, for one, am engrossed in a fantastic read - Little Bee by Chris Cleave. I won't tell you much about it because part of the book's beauty is the shocking story that unfolds. What I will say is that it's about a Nigerian teenage girl and a British couple. The three meet on a Nigerian beach, and some unimaginably dramatic events unfold that connect the three for life. I implore you to avoid Googlng for more information, and instead pick up a copy of your own. It's a page turner and will have you contemplating life and your personal breaking point. Some of my friends have offered up their own suggestions. I ran into Julie this weekend, and she mentioned that Thirteen Reasons Why has her glued to the virtual pages of her Kindle. She explained it's a YA book about a teenage girl's suicide and the audio tapes she left behind describing the reasons why she premeditated her suicide. The book switches between the girl's internal monologue and that of one of the tapes' recipients. The book has received hundreds of Amazon five star reviews and is said to gracefully handle content that reflects the magnitude of how people treat each other. I'm adding this book to my list. Apologies to the person who told me about Sarah's Key. Prime suspects include my mother or my friend, Megan. It's a book about a woman who delves into her life in Paris and discovers that echoes from Nazi Europe are influencing her present day life. I've always had a bit of a fascination with the Holocaust and will no doubt pick up this book this summer. I do know that both Megan and her husband, Brian, have heralded Laura Hillenbrand's latest effort, Unbroken. The true life story of a man who was destined for greatness as a track star in the Olympics, his dreams are put on hold because of World War II, and he instead enlists in the Army Air Corps. His willpower, determination and strength are put to the test when his plane crashes and he weathers an entirely new set of challenges brought on by Mother Nature, war and other extreme circumstances. I loved Hillenbrand's first release, Seabiscuit, and can't wait to see how she uses her exact mastery of words to paint this piece. The Public Library of Cincinnati and Hamilton County has a pretty clever program running right now - Team Read. The goal is to get more kids, teens and adults reading. Through July 31, you can track your reading online and be eligible to win cool prizes including tickets to Cincinnati Reds games, Kings Island and other seasonal offerings. Check it out, sign up, pick up a page turner and share it with a friend. And while you're at it, leave a comment and tell me what you're reading! I'll add it to my list. I'm reading Mockingjay - the last book in the Hunger Games trilogy. Thanks for these suggestions - they all sound amazing!